#GTUMWC2018: The Holobox has been announced today by SK Telecom at #MWC2018. 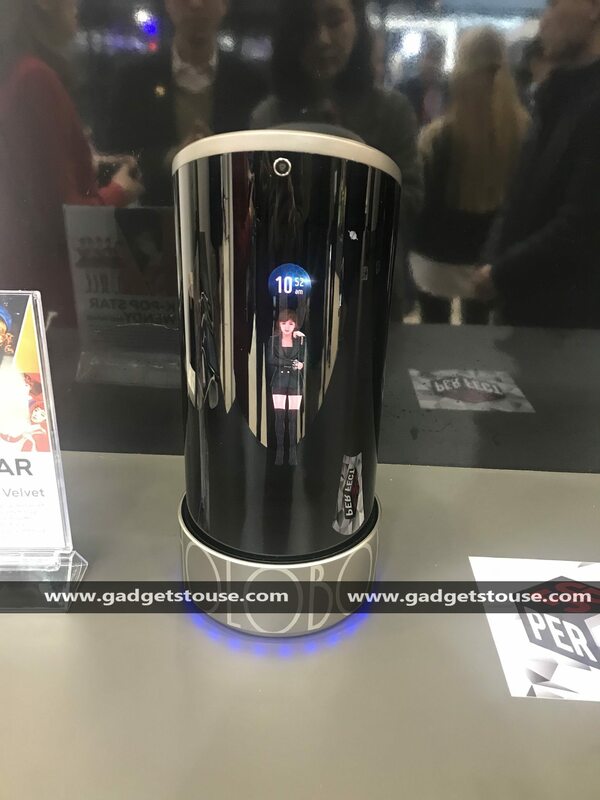 It is an AI hologram device which allows the user to communicate with a human avatar which is placed inside the cylinder. It looks like it came out directly from a Star Wars movie. Let’s see what this device actually does and what is the purpose of this device. The Holobox is a cylindrical device and is 365mm in height. It uses the “Ultra Short Throw” projection technology to make the avatar alive inside the cylinder. The Holobox also contains a microphone and speaker which enables the user to give input to the device and get some output. 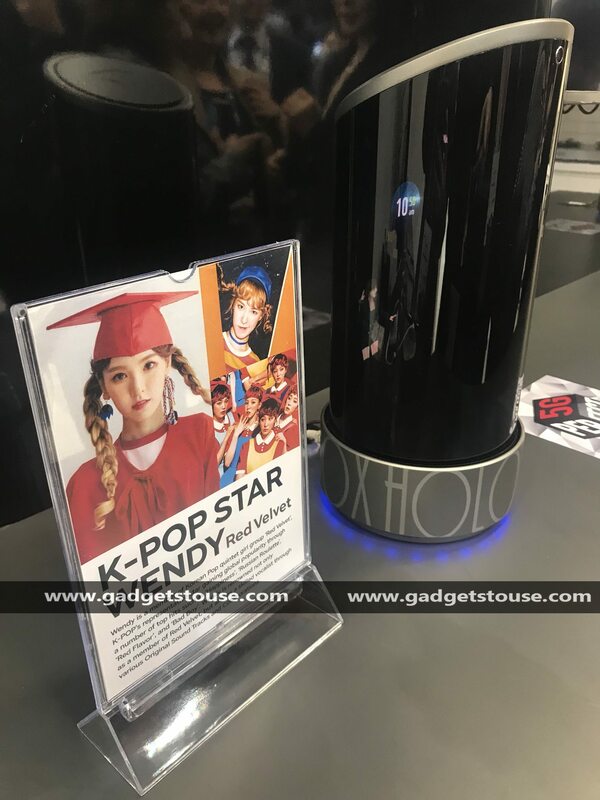 The Holobox is powered by an AI technology fabricated by SK Telecom called NUGU, it can be synced with any music streaming service and the Smart Home services from the company. It can control the lights, switches, TV, music, weather alerts, autoplay and do much more. The hologram is from a future media company which came to the limelight with the real-time video calling feature with a hologram. The one cubic centimeter of the hologram takes up 1 GB volume of data. This much data is impossible to transmit via the current LTE network since it provides a maximum speed of 400 to 500 Mbps. 5G, however, has a maximum of 20 Gbps transfer speed which is 40 to 50 times faster than current LTE network. The Holobox is based on the 5G technology. The hologram can be accessed via smartphones through the Augmented Reality technology. The whole demonstration is to demonstrate the speed of the 5G technology.